Pyrography is the art of fire writing. The idea is to burn text of drawings onto wood, creating a charred image. The art itself may be as old as man. With the increase in popularity of do-it-yourself projects, pyrography has also seen a revival of sorts. If you are a wood burning amateur check out this post. A lot of the young people who are into pyrography have found this to be a craft requiring a lot of patience and skill, as well as being handy with tools. Men and women alike have found this art, and have fallen in love with it. Found under the ArtofManliness.com website, the article was written by Jeremy Anderberg, for beginners who are interested in pyrography. “A woodburning pen is a very simple tool. 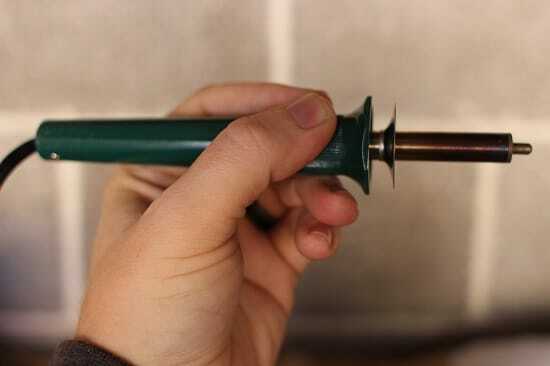 It’s a pen-like device with a metal end through which heat is transferred to a removable tip. All but the cheapest models are variable temperature tools. With any kit, you’ll get 4-7 different tips for various methods of burning: straight lines, rounded lines, shading, etc. You’ll also get a metal safety stand for the pen so it’s never just sitting on a table or workbench. One of the most common advice relates to the wood burning pen. In this case, the pen is more like a soldering iron which you use to burn areas of the wood to come up with the artwork. Timothy Dahl wrote some other tips about starting to do pyrography. His article could not over-emphasize the need to choose the right pen for the right strokes. “The most common way to burn wood is with a pyrography pen (see the photo at the top of this post). These are called solid-point burners and are similar in look and design to a soldering iron. They have a solid brass tip which is heated by an electrical element, and operates at a fixed temperature. 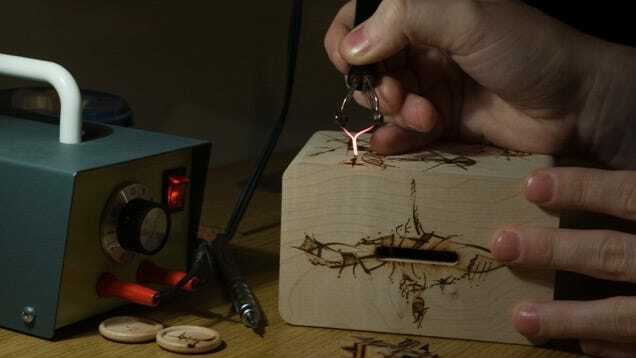 “More advanced pyrography tools have variable heat control and use a wire-nib burner (shown above) to create more precise wood burning detail. It may seem from the above advice that it takes a long time to do your project. It is. During that time, you are going to be beset by fatigue, cramps, burns, and just generally lose your patience. Taking it slow is a sound advice. There are also a lot of videos on YouTube about pyrography. One of those who’ve created a video about pyrography is Cantrip. She has a lot of interesting materials on her page. “Pyrography is like a spectacle. It’s kind of a spectacle. You can take a drawing, and the drawing is awesome and you take it, it looks great. If you take that drawing and you burn it onto wood, the perceived value is many, many times greater than that of the original drawing. If you are the type who wants to learn new things, and then move on to the next without mastering anything, pyrography is not for you. It is not a skill which requires lots of practice in order to create your first work. It is not a trivial task. It requires dedication and a different level of creativity to come up with true art.